Willie Hansen passed away peacefully surrounded by family on Jan. 14, 2019. 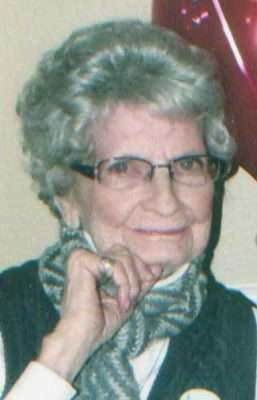 She was a resident of Janesville from 1978 until her death. 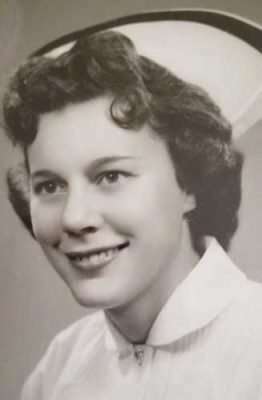 She was a nurse in the emergency room at Lassen Community Hospital, then at Banner Hospital until she retired in 2015. She will be dearly missed by many. She was preceded in death by her husband, Max; and is survived by her five sons, Phil Hansen, John Hansen, John Haus, Bill Hansen and Robert Hansen; as well as her sister, Gail; and her brother, Clyde. She had many grandchildren and great-grandchildren. In lieu of flowers, a donation to a cancer research fund would be much appreciated. Jean Eleanor Hollenbaugh was born Jan. 23, 1922 in Fostoria, Ohio. She went to rest on Jan. 9, 2019 at the age of 96. Jean moved to Susanville in 2011 from Reno, Nevada to be near family after her husband’s death. She retired as an electronic assembler. In her younger years she enjoyed golfing, crocheting doilies for others was a hobby and working crossword puzzles until recent years occupied her time. Since moving to Susanville she made many friends with whom she enjoyed lunches and playing bingo. She also volunteered at a non-profit thrift store for foster children. Jean is preceded in death by her husband, Jay Eugene (Gene) Hollenbaugh; parents, John and Gladys Soles; half brother, Gerald Kisabeth; sister, Beatrice Miller. She is survived by her daughter, Deatra (Dee) Woginrich (Tom); four grandchildren, Angela Sanders, Craig Sanders (Christy), Daniel Sanders (Linda) and Andrea Sanders; three, step-grandchildren, Thomas Woginrich (Tamie), Mike Woginrich (Tracy), David Woginrich (Jen); four great-grandchildren; five step-great-grandchildren; two great-great-grandchildren. She will be interred with her late husband at Northern Nevada Veterans Memorial Cemetery in Fernley, Nevada. Leland E. Butler was born Jan. 17, 1932, in Susanville, California, to Ray and Leona (Johnson) Butler. He graduated from UC Berkeley in 1955 with a BA in criminology, received his law degree from UC Berkeley School of Law, Boalt Hall, in 1962, and earned a degree in business economics at UC Berkeley in 1964. Leland became an attorney in 1963 and worked for the Santa Fe, which merged into the Southern Pacific, Corporation in San Francisco his entire legal career until his retirement in 1997. Leland was a midshipman in the Navy from September 1950 until his commissioning in January 1955. During that time, he served in excess of 30 days each in the summer of 1951-1953. In 1955 as a commander, Leland was deployed to Korea to complete the withdrawal of the last remnants of the Third Marine Division. Leland was awarded the China Service medal for his participation in the evacuation of Chinese Nationalist troops and families to Taipei from the Tachen Islands, just off the coast of mainland China, occupied by the Chinese communists. Leland’s military service includes serving in both Korea and China in which he received medals for his military service. 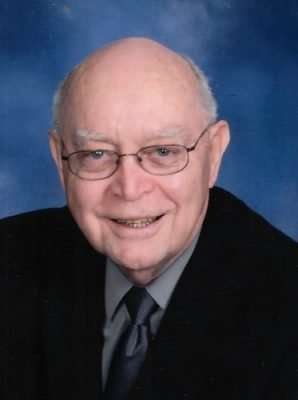 Leland loved to travel and play golf and was very active in the Nevada County community, including serving two terms as a Deacon at Sierra Presbyterian Church, until December 2017 when Leland moved to Visalia to be closer to his youngest daughter. Leland is survived by his brother, Ross Butler, of Price, Utah; his daughters, Christine Butler, of Valencia, California., and Karen Butler, of Visalia, California; granddaughter, Laine Housmand, of Highlands Ranch, Colorado; grandsons Kyle Butler, of Valencia, California, and Ryan Medeiros, of Visalia, California; great- granddaughter, Adalynn Housmand of Highlands Ranch, Colorado. Leland is preceded in death by his wife of 56 years, Joyce Butler; by his father, Ray Butler; mother, Leona (Johnson) Butler; brother, Mark Butler. There will be a celebration of his life at 1:30 p.m. Sunday, Feb. 17, at Sierra Presbyterian Church, 175 Ridge Road in Nevada City.